Backyard Singing Birds Background - Free Photoshop Brushes at Brusheezy! Being outside in the spring and summer is not only pleasing to the eyes, but to the ears as well. With this new Backyard Singing Birds Background you'll be able to bring that beauty into your work. This backyard birds background is a cute depiction of a lively green yard with daisies popping up from the ground. 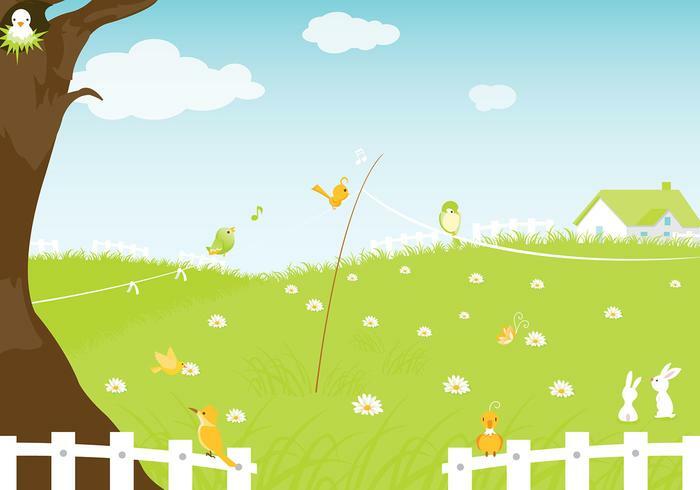 Also download the <a href="http://www.vecteezy.com/backgrounds-wallpaper/57098-backyard-singing-birds-vector-background/premium">Backyard Singing Birds Vector</a> over on Vecteezy!